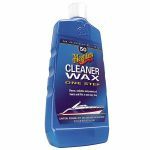 ‘Meguiars’ Pure Wax 473ml – Durable, long-lasting protection!Preferred by boat and RV manufacturers worldwide, No. 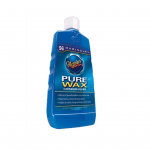 56 Pure Wax blends pure brazilian carnauba wax with polymers and resins to provide enhanced gloss and long-lasting protection. No. 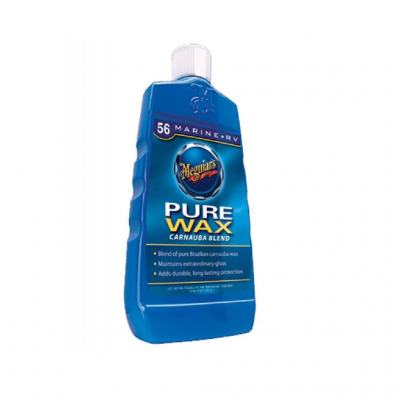 56 Pure Wax actually deepens the gloss achieved with Meguiars No. 45 Pure Polish. 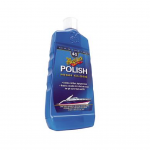 Safe, effective and easy to use on all fibreglass and gel coat surfaces.Directions for machine use: Shake well. Apply to clean and cool surface. Working one section at a time, dispense product on surface. (When working with a new buffing pad, apply a small amount of product, in the shape of an X on the pad itself). Using light pressure, spread product evenly using overlapping movements, to ensure uniform coverage. Let dry to a haze. 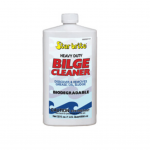 Wipe off excess with a clean, 100% cotton, terry cloth towel or microfibre cloth. Repeat on each section. Keep off vinyl & rubber areas.Directions for use by hand: Shake well. Apply to clean and cool surface. Working one section at a time, dispense product on a 100% cotton, terry cloth towel or applicator pad and rub thoroughly into the surface. Let dry to a haze. Wipe off excess with a seperate clean, 100% cotton, terry cloth towel or micrfibre cloth. Repeat on each section. 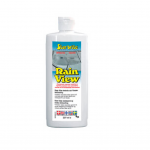 Keep off vinyl & rubber areas.Tips: If surface is oxidated , precede with Mequiars No. 44 Colour Restorer or No. 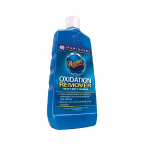 49 Oxidation Remover to remove moderate oxidation, staines and blemishes.